Home » News » SimRacing Expo 2014 trailer. In September the BlancPain Endurance Series camp at the Nürburgring for round 5 of the Championship. The I-RACING NÜRBURGRING 1000. Yes, you are reading it correct. The NÜRBURGRING 1000 is sponsored by iRacing.com. A PC based Sim Racing platform that is sponsoring an international Racing event is pretty awesome. But it does not stop there. 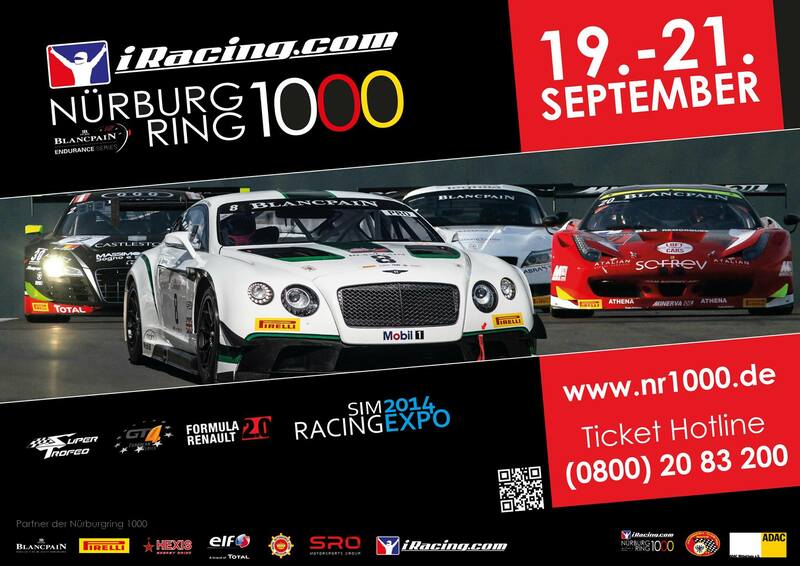 Together with the BlancPain Endurance Series, the Nurburgring will also host the SimRacing EXPO 2014 organised by GT driver Marc Hennerici. For the first time an event such as this will try to bring the real and virtual racing world closer together. You will be able to visit the exhibitors at the 8.800 m2 Ring boulevard and try out various Sim Racing products and maybe do some Sim Racing against professional racing drivers. The exhibition aims to turn a lot of Motorsport fans into Sim Racers. If you are at the Nurburgring this weekend, don’t forget to visit the Expo. Is Slightly Mad Studios Working On A Next-Gen 4K Console Named Mad Box?